ReplyManager provides a number of ways for you to search your inbox! In addition to our Advanced Search feature, we have created a Quick Search option that allows you to enter more specific details from the email you are looking for. Read further to decide when each option will work best for you. Available on both the main screen and within folders, the Quick Search feature (located in the upper-right hand corner of the application) allows you to search your inbox for specific details about a particular email you are looking for. The system will search up to the first 10,000 characters within the body of the message. Using this feature to search can be much more efficient and uses less of the program's resources. Note: When using the quick search feature from the Main Folders screen, the program will search all folders for your search term. By default, when using the quick search feature from within a folder, it will search only that folder for the search term. When you click inside to type, you will see the option to check "All Folders"
Email address - use the partial email address (e.g. sarah@ or @thesugarcompany.com). Do not include common factors such as @gmail.com or info@, choose some part of the email that is unique. The system splits words based on spaces, commas, periods and other punctuation characters. Once you place your cursor in the search box, the “Go to Advanced Search” link will appear. This can be used as a more comprehensive search tool. 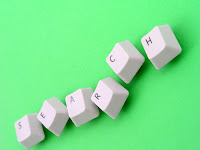 There are many options available in the Advanced Search, including emails matching "any one of the conditions" specified or "ALL conditions" specified. Search all emails with your selected criteria by date, any status, and in all or any specific folder. Note: A search now includes the TO: for a forwarded email; The system searches all replies, new emails, and forwards. Search Tip: ReplyManager uses “%” to be included in search strings for "filtering out" specific words from your search. The system would not search in between the %’s.